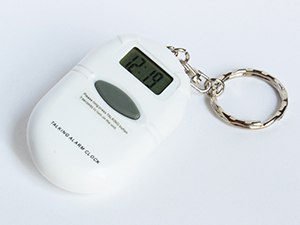 Alarm clock on a key chain that displays and announces the time. All mode functions speak. Large push button for easy time announcement. 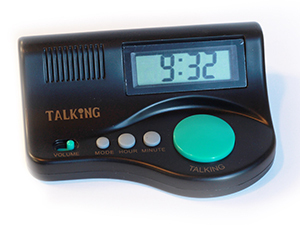 Easy-to-use talking clock with LCD display. Large button announces time. Mode function speaks all functions. Volume setting switch. 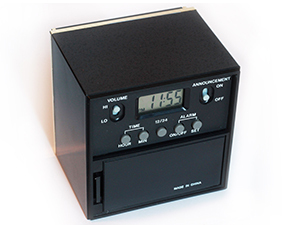 Talking alarm clock speaks in male voice with adjustable volume control. 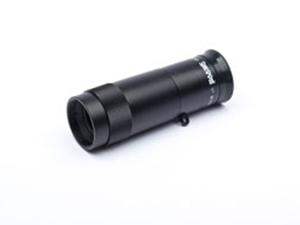 Easy-to-set time and alarm functions and setting buttons are covered when not in use. 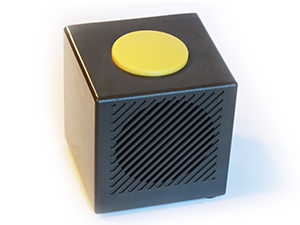 Large push button for time announcement. 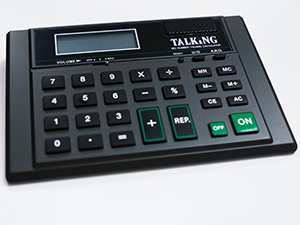 This 8-digit pocket-sized talking calculator with volume control is perfect for carrying in pocket or purse. Dark blue buttons on a black background. This 10-digit calculator has large keys and high-contrast numbers. Features also include repeat function, clock and alarm. Reports results with male voice in either units or digits. 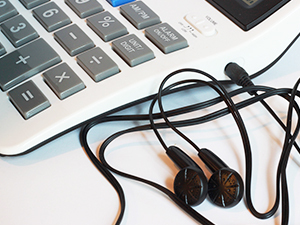 Earphone jack and earbuds offer privacy. Eight digit talking calculator features an automatic power shutoff to conserve battery. Clear male voice. 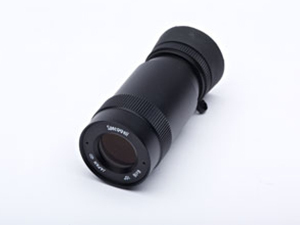 This compact, lightweight, extra-wide angle magnifier has extra-close focusing and distance viewing. May be mounted for hands-free viewing. 8×20. Includes carrying case and neck strap. 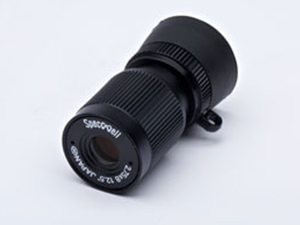 This compact, lightweight, extra-wide angle magnifier has extra-close focusing and distance viewing. May be mounted for hands-free viewing. 6 x 16.. Includes carrying case and neck strap.